The Murray Law Firm, LLC practices employment and workers' compensation law throughout the State of Georgia. The firm provides aggressive representation for their clients when challenging unfair employment practices and unsafe working conditions. The Murray Law Firm, LLC is fully dedicated to protecting the rights of employees against illegal discrimination and harassment. 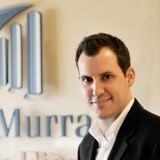 The Murray Law Firm, LLC is based in Atlanta, Georgia. Jeannie Smithwick In Grady ICU After Hit-and-Run Accident on I-285; Justice Available? Pedestrian Injured in Alleged DUI Hit-and-Run Accident West of Trion; Justice Available? Joe Brown Davis Killed in Motorcycle Accident; Justice Available? Townsend Woman Injured in U.S. 13 Accident; Justice Available? Shooting at Portsmouth Vape Shop Leaves Two Injured; Justice Available? Ja’Zay Simpson, 6, Tragically Perishes in Albuquerque Apartment…Injuries to 3 Others; Preventable Tragedy?